The Equine Studies program at Colorado Northwestern offers two Associate of Applied Science degrees - specializations in Management and Training. Our comprehensive approach to learning includes a broad-based curriculum of equine science classes combined with practical, hands-on experiences. 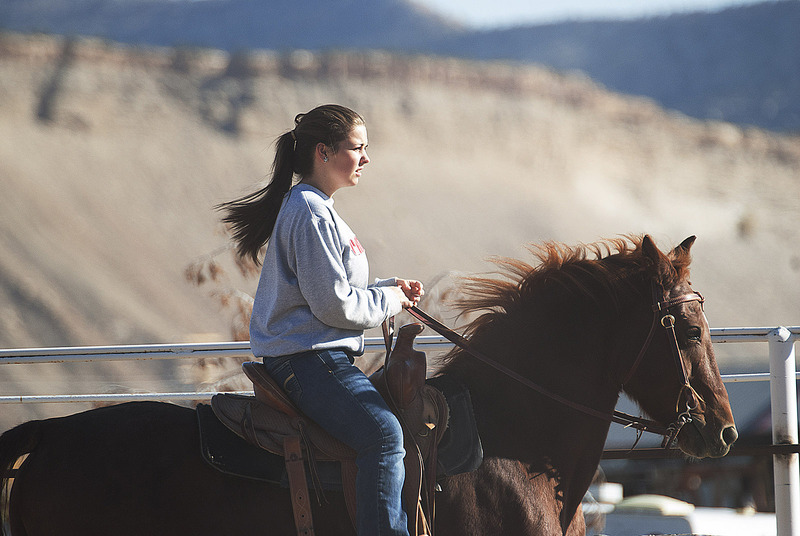 Our location in the center of recreation and ranching in Northwest Colorado makes it the ideal place to learn what it takes to manage and train horses. Do you have a horse? You can bring it with you to school. Our boarding facilities are some of the best college has to offer. Don't worry if you don't have a horse to bring, the program has them for study and use. Courses include Anatomy & Physiology, Reproduction, Equine Evaluation,Equine Behavior, Horsemanship, Basic & Advanced Riding, Herd & Health Management, Basic & Advanced Horse Training, Outfitting & Guiding. Students receive hands-on experience riding, training, and managing horses. Today’s multi-billion dollar equine industry is extremely competitive. At CNCC, we are committed to preparing students to rise to the top. What sets the CNCC Equine Program apart?